Tony Thomas: A saying from the early days of the Soviets was ‘When the forest is cut the chips fly’. It corresponds to our own saying, ‘You can’t make an omelette without breaking eggs.’ In the Soviet context, it referred to people destroyed for doctrinal reasons. In our ‘Stolen Generations’ controversy, the historians have come across many individuals – including Aborigines like tenor Harold Blair – who devoted much of their lives to caring for, as they saw it, child Aborigines and half-castes and children of half-castes. Since the historians want to make the case that these people operated within a genocidal-type agenda, these people are required to be viewed as racist villains. In Perth, Sister Kate Clutterbuck is one such villain. So let Windschuttle now defend Sister Kate, an Anglican nun. 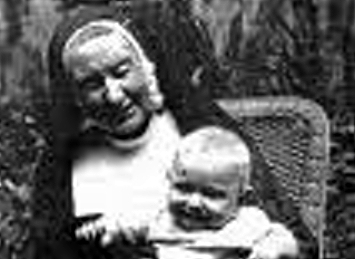 Sister Kate in 1934 then established a home at Queens Park in Perth explicitly for quarter-caste children in need of care. Bringing Them Home identified Sister Kate’s’ as a place established to house Stolen Generations. p318 It was government-subsidised and initially housed about 20 children. p408 (A later chairman of Sister Kate’s was none other than Sir Ronald Wilson, chair of the Human Rights Commission and its Bringing Them Home Report. p267). Poor Sister Kate. She worked 40 years in WA housing, feeding, clothing and educating orphans, abandoned babies, destitute and disabled children – only a minority of whom were Aboriginal. She created, instead of impersonal institutions, a new model of cottage homes where staff sought to give individual love and attention to each child. In her youth she took a vow of poverty and thereafter lived and worked in the same premises as the children. In WA, with few funds from church or state, she labored to raise funds herself through fetes, concerts and (probably) cake stalls. Kate was born in 1861 in England. At 22 she joined the C of E Sisterhood in London, and trained in nursing and dispensary before becoming a nun with Sister of St Michael’s Convent, Kilburn. For 15 years she did welfare work in the slums and dockside of London and in the orphanage at Kilburn. In 1901 she and four other nuns sailed for Perth with 22 child migrants from Kilburn orphanage. By end 1903, they had found the money for and built the Parkerville home for babies and orphans in the Darling Ranges near Perth, initially known as ‘The League of Charity Home for Waifs and Stray Babies’. It soon included a government-funded public school. Her ‘clients’ included (virtually all white) orphans, illegitimate children of poor or alcoholic single parents, disabled and mentally retarded children, children exposed to domestic violence, and children of prostitutes found living in brothels. But by 1932 she had 28 Aboriginals aged three to 19, out of a total of 143 charges. There were also children of Afghans, Japanese, Maoris, Chinese etc. Neither Kate nor the children, it appears, gave a stuff about anyone’s race. By 1932, at the age of 71, she fell foul of Perth’s Anglican Archbishop Henry Le Fanu, who wanted to kick her out and replace her with young nuns from his former Brisbane diocese. Unwilling to retire, she got advice from Paul Hasluck (later our Governor-General, then a sub-editor on The West whose roles included correcting the spelling and grammar of my father Pete Thomas, a first-year cadet). Hasluck drew her attention to plight of light-skinned part-Aboriginal children who were classed as neither black nor white for welfare purposes and hence missed out on care. She was enthused and offered to run such a home on behalf of Protector A.O. Neville but without cash from him. Being cash-strapped, Neville was overjoyed at her offer of something for nothing. He would choose the kids and remain their legal guardian. What a horrible hypocritical sinister person was Sister Kate! Well may she be damned by historian Anna Haebich, who quoted that italicized statement but dismissed it as part of the public ‘fiction’ maintained about Kate’s motives over the years. Historian Haebich somehow conflates this into the onset of large-scale racial engineering by Neville of Aboriginals into whites. 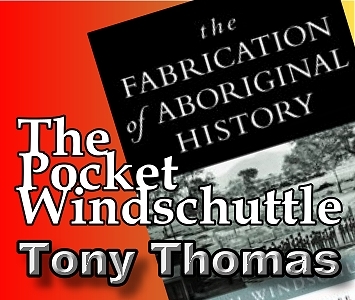 Haebich claimed, correctly, that some of Neville’s teenaged Aboriginal women sent to domestic service, got pregnant to whites, and Neville removed their children from them. This was bad but the same thing routinely happened to white teenaged mothers as well – their child was removed. Haebich refers to ‘scores of practically white children’ that Neville removed into Sister Kate’s hands, an even greater beat-up, Windschuttle says. Over ten years, Sister Kate’s’ home took in an average 15 children a year. Not much hope of ‘biological engineering’ there to end the Aboriginal race. 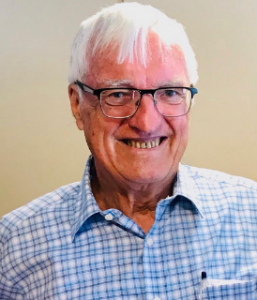 Paul Hasluck was a patron of Sister Kate’s’ for many years, continuing to describe it, as Neville did, as a safe haven for kids who couldn’t access care designed for either whites nor blacks. I wonder how it would go if Sister Kate tomorrow climbed out of her grave and sat academic historian Anna Haebich down for a little chat. I’d love to be a fly on the wall. I bet the chips would fly.